The visiting Executive Director of WFP (The World Food Programme), David Beasley confirmed that they plan to buy 75000 metric tons of maize from Tanzania, while he was in Dar es Salaam this week. 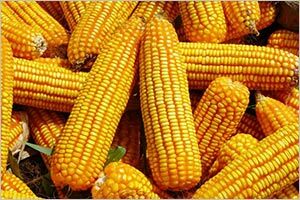 This is in line with the UN organizations ongoing exercise to expand market reliability for the corns from Tanzania. They intend to buy between 75,000-100,000 Metric tons of the crop in the next six months from the 30,000 tons they had already purchased so far. Beasley told reporters that they are seeking out for a better way to have the private sector involved in supplying the crop. He also added that they will buy more of the yield from the farmers. WFP transports its food consignments to East and Central Africa by using the Dar es Salaam port and TRL facilities. Furthermore the organization is working closely with the port and railway teams, due to their improved efficiency and low cost of transportation said Mr Beasely. The successful transfer of its main cargo consignment in the recently re-opened Mwanza to Port Bell rail-lake-rail corridor on Lake Victoria is evidence to WFP’s statement. The route has helped reduce the cost of transportation by 40 percent and transit time by 50 percent, proving to be quiet effective in timely and quick delivery to those in need in the neighboring and landlocked countries such as Democratic Republic of the Congo, Uganda, Rwanda, Burundi and South Sudan. WFP has pledged to support Tanzania’s small holder farmers by addressing the causes of postharvest losses in key commodity crops, access to extension services, quality inputs and access to markets. Mr Beasley said the WFP has co-designed a multi-stakeholder initiative to increase the incomes of 250,000 smallholder farmers in prioritized regions. Under the support, the WFP will specifically target women farmers both in farming and in small-scale processing, said the WFP chief.